What’s The Story Behind Batman: Arkham Knight? 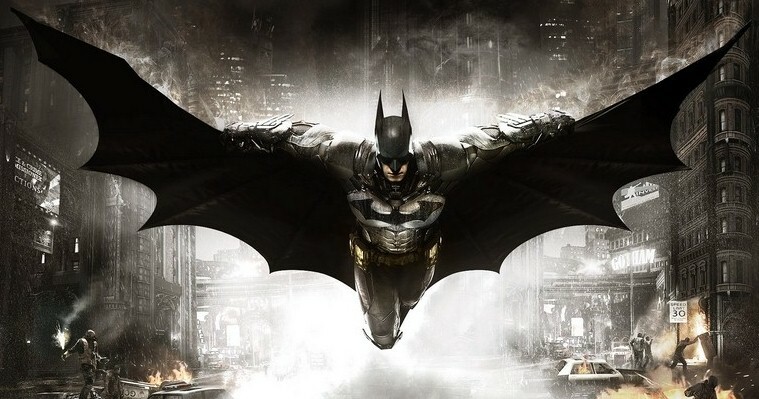 Batman: Arkham Knight is undoubtedly one of the most anticipated video game of 2015. (It is scheduled to be released in June 2015.) The series of video games so far has been a thrilling experience and fans everywhere can’t wait for more. This particular chapter of the video game trilogy is made even more enticing by the fact that it is the third in the series (a predicted trilogy so far), and hence, might be the final chapter in the series as well! Of course fans will be sad to see this series of video games end. But the anticipation and excitement that comes to any gaming fan at the wrapping up installment of a wonderful series is hard to snuff out. So we’ll worry about the rest of it after we get our hands on it! One year after the events of Batman: Arkham City, the Joker is dead and the citizens of Gotham City have never felt safer and more relaxed. The Batman, however, continues his regular nightly (and knightly) vigilance. And he has also upped the ante of his training to the point that, in this installation of the video game, he is even stronger, smarter, and more agile than he was (which admittedly, was quite high up the evolution hierarchy in the first place)! In fact, he is said to be a prize example of the peak of perfection that a human being can reach in terms of mental and physical flawlessness. And yes, he is still fabulous at martial arts, and (if he didn’t have that title before) he is certainly an expert martial artist now! On another note though, the Batman, it seems, is struggling with mixed feelings about the death of the Joker. Of course he is glad that the menace is gone. But that doesn’t change the fact that they had been in conflict so long that a strange kind of bond had formed between them anyhow. And let’s face it, who else could match the Batman’s brains so well? As we all know, Gotham City can hardly ever remain peaceful for long. And the Batman knows this. So he keeps up his vigilante activities and guards Gotham as he always does every night. Additionally, he has also been developing more advanced equipment to aid him in his fight against crime. For he knows that things always get more complicated as time rolls on rather than less. And it seems he was right. For the rest of the villains of Gotham City, now that the dreaded Joker is out of commission, seem to be crawling out of the woodwork. It’s not hard to imagine that the Joker, for all his criminally insane plots and schemes, actually had a strong hold of the criminal underworld thanks to his own brand of genius – an insane genius, yes; but still a (frighteningly) genius villain. And since he was the only one who had given the Batman a real run for his money, it is not too hard to imagine that the other villains would keep out of his way. Now that he is gone though, the only obstacle they really have against the full run of Gotham City is the Batman. Hence, the Scarecrow, the Riddler, Penguin, Harley Quinn, and Two-Face join together in this anticipated third chapter of the trilogy to destroy the Batman and take over Gotham City. So on Halloween night, Scarecrow gets the city’s civilians evacuated by threatening to unleash his latest fear toxin through bombs set up throughout the city. So the city’s civilians are evacuated. However, this means that the police force of Gotham are severely outnumbered as the criminals of the city are still in the city. Thus the Batman readies for the new threat, developing even more high tech gadgets and keeping up his nightly crusade and guard over Gotham city to combat whatever new treachery might enfold.